George was born in 1896 in Southampton to parents Elizabeth (nee Gray) and William J Harding. His mother was born in 1872 and his father in 1869, both in Southampton. They married in 1893 and had five children including George. May Elizabeth born in 1894. Married Thomas Hayward in 1918. Died in 1982. William James born in 1895. Date of death unknown. Percy born in 1904. Married Gladys Louise Medley in 1925. Died in 1954. Ernest born in 1905. Married Hilda Thomas in 1925. Died in 1968. The 1901 and 1911 censuses show that the family were living at 54 Clarence Street, Northam, Southampton. William’s employment was given as a Blacksmith Labourer in the 1901 census. In the 1911 census William was employed as a Dock labourer, while George was listed as being an errand boy at the age of 14, along with his brother William. His sister May was a general domestic servant. His grandmother Lucy was also living with them at this time. She was 70. George’s father died in 1949. Date of death is unknown for his mother. George Charles Harding was a Trimmer on board the SS Arcadian (Belfast). A Trimmer’s role was to ensure that the firemen who tended to the boilers of the ship had adequate supplies of coal at all times and they had to ensure that the trim of the ship wasn’t altered unevenly as the coal was taken. The coal bunkers ran the length of the ship and on both sides so if all the coal was taken from one place the ship would become unbalanced. They worked in hot, cramped, dark and dangerous conditions so injuries would be common. The Arcadian was originally a steam passenger liner constructed in 1899 by Vickers, Sons & Maxim, but during the war was converted as a troopship. She was serving in the Mediterranean en route from Salonika to Alexandria on the 15th April 1917 when she was struck by a torpedo from German submarine UC-74. George drowned when the ship sank and he was one of 279 people who lost their lives that day. He is remembered with honour at the Tower Hill Memorial in London. 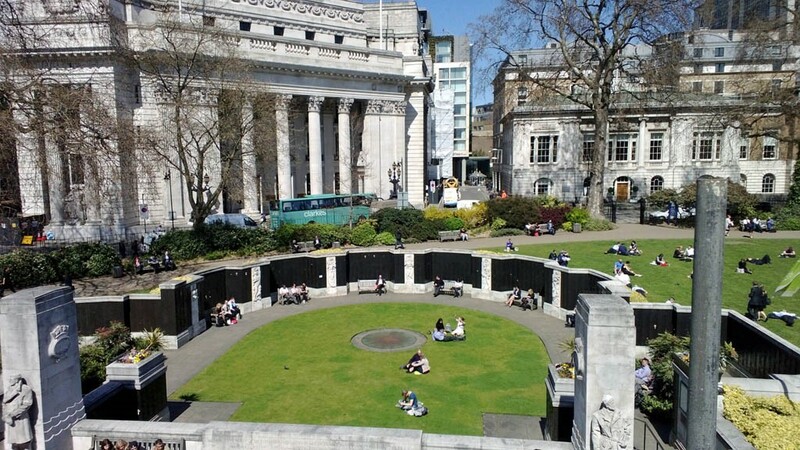 The Tower Hill Memorial commemorates men and women of the Merchant Navy and Fishing Fleets who died in both World Wars with “no grave but the sea”.